Due to rapid rise in the social standards results in the production of by product wastes which leads to unmanageable proportions causing pollution and disposal issues. Finding a sustainable uses of the wastes products in engineering field, is one of the alternative solution for the effective management. In this work Phosphogypsum as a by-product from fertilizer industry having more SiO2 and CaO is used to alter the characteristics of soil, which in turn improve the strength requirements. The chemical composition of Phosphogypsum consists of majorly the constituents of SiO2, CaO, SO3, MgO, Fe2O3 and Al2O3 and the presence of these compounds imparts the strength on soil samples by its addition. Microstructural analyses were studied by Scanning Electron Microscopy (SEM) with Energy Dispersive Spectroscopy (EDS) on untreated soil and PhosphoGypsum to identify the possibility of using to modify the characteristics of soil. The improvement in strength properties were determined by the Unconfined Compressive Strength (UCS) tests on clayey soils in untreated and stabilized condition with varying content of Phosphogypsum as 2, 4, 6% at 7,14 and 28 days of the curing period . UCS results showed an increase in strength values in the order of 1.16 and 1.75 times at the 28th days of curing by the addition of 6% of PG in soil samples. As a result of treatment, the minerals which confirm the pozzalonic reactions were examined by X-Ray Diffraction (XRD) and X-Ray Fluorescence (XRF) spectrometer. Elements like Si, Al, Ca, Mg, and S in treated and untreated soils were analysed to identify the variations in strength characteristics with the influence of the Phosphogypsum. In addition, the Free swell properties which are important in the surface characteristics of soil used in the construction work, is also carried out on treated and untreated soil samples, which indicates a reduction of values of 50% and 60% at the 28th day. This reduction in swell value reduce the vulnerability of construction activity in the surface of soil upto 2 to 3m or up to the influence depth from the ground surface. This method of stabilization allows an improvement in characteristics of clayey soil by making it suitable for construction activities. It has been observed that the effect of PhosphoGypsum in the soil as stabilizer results in increase the strength behaviour by the treatment and makes a cost effective resource in construction activities. Divya Krishnan K, P T Ravichandran. "Microstructural Characterisation and Quantitative Enhancement in Strength Properties of Stabilised Soil." 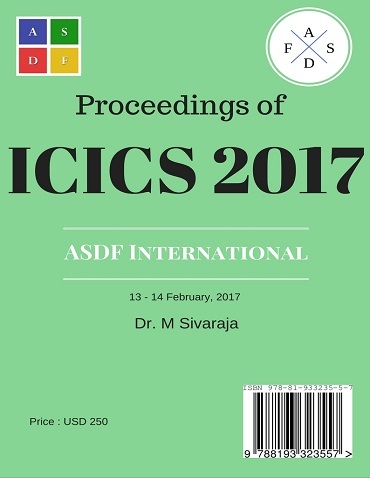 International Conference on Intelligent Computing and Systems (2017): 02. Print.